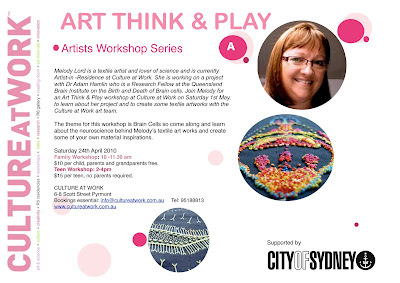 This coming Saturday, May 1, 2010, I'll be participating in the weekly Art, Think & Play workshops at Culture at Work. 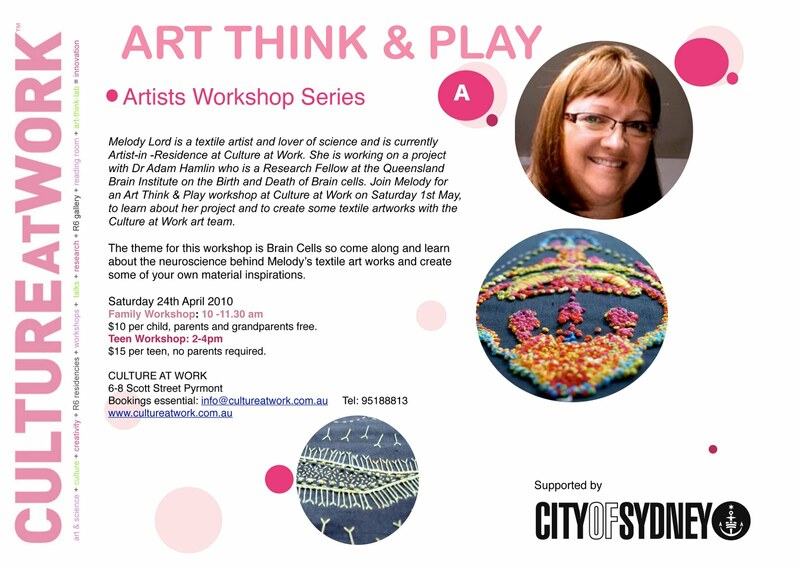 If you're in Sydney and you have children who might be interested in making art about brain cells, bring them along! Call 9518 8813 to book. Oops, Sherryl just pointed out to me that the date on the flyer is wrong. The workshops are definitely on this Saturday, May 1st.